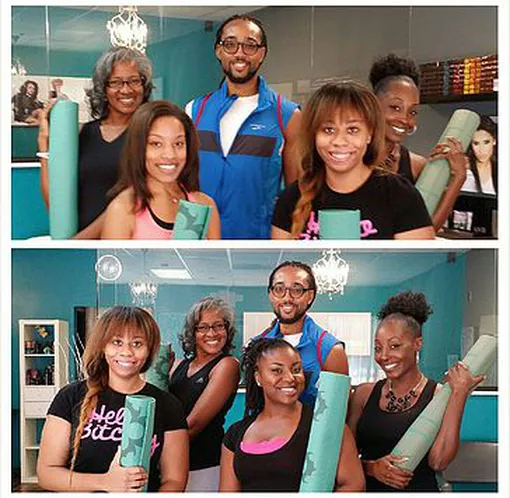 We are pleased to say that Christopher Wilkes, better known as the “Yoga Doctor”, is a friend to the salon. Mr. Wilkes is a certified yoga instructor and has given our guest the pleasure of experiencing this practice. Once Quartely, the Kimberly Gore Salon makes an effort to have the “Yoga Doctor” on site! Mr. Wilkes teaches several classes weekly at locations to include Namaspa, Art of Yoga, and The Liberty Theatre. Quarterly classes at KGS require an rsvp, be sure to like us on facebook and keep an eye out for our next yoga experience with the Doctor!